each passenger group member to leave a security deposit of 120 pesos. this will be refunded on leaving the group. There is internal rules that determines that any damage or breakage will be paid in full by the passenger. The housing has a strategic location, just fourteen blocks from the bus and ten from the main square. 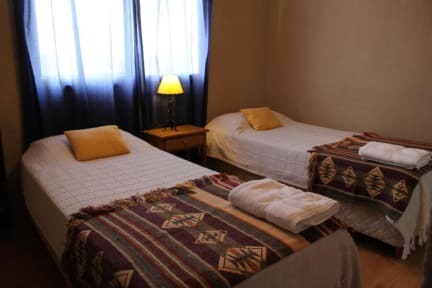 The orientation of the building allows spectacular views of Lake Nahuel Huapi and we're two blocks from the waterfront. 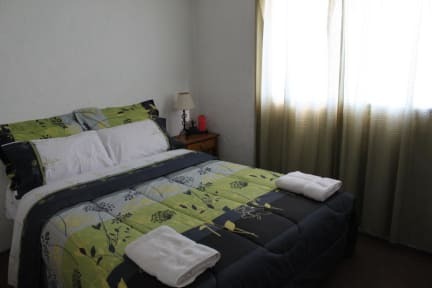 The accommodation is equipped with beds and box springs, heated rooms, private bathrooms and hot water 24 hours, also if needed we have bunk beds and cots for babies. There is nothing better after a good night's sleep than a hearty breakfast, the most complete breakfast with tea, coffee, chocolate, milk, homemade pastries, juice, toast and croissants are available. Bariloche has a myriad of outdoor activities throughout the year, either in winter skiing or snowboarding or summer mountain hiking trails, horseback riding and for the more adventurous, paragliding and kite surfing in the Nahuel Huapi serious challenge their own limits. We also have a living room with cable tv, dvd, wi-fi and play station all free to use.